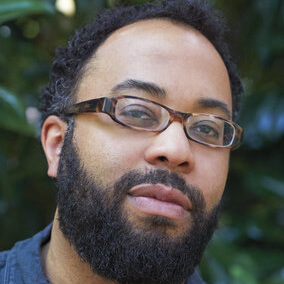 Kevin Young is the director of the Schomburg Center for Research in Black Culture and poetry editor for The New Yorker. He is the author of twelve books of poetry and prose, including Blue Laws: Selected & Uncollected Poems 1995-2015, longlisted for the National Book Award; and Book of Hours, a finalist for the Kingsley Tufts Poetry Award and winner of the Lenore Marshall Prize from the Academy of American Poets. Young’s book Bunk: The Rise of Hoaxes, Humbug, Plagiarists, Phonies, Post-Facts, and Fake News, a New York Times Notable Book, was longlisted for the National Book Award and appeared on many “best of” lists for 2017. His collection Jelly Roll: A Blues was a finalist for both the National Book Award and the Los Angeles Times Book Prize for Poetry. His nonfiction book The Grey Album: On the Blackness of Blackness won the Graywolf Press Nonfiction Prize and the PEN Open Book Award, and was a New York Times Notable Book and a finalist for the National Book Critics Circle Award for criticism. He is the editor of eight other collections and was inducted into the American Academy of Arts and Sciences in 2016.